Spring is here, and that means the streets are dry enough and the weather is warm enough to get out your bicycle and hit the road or path. Once you’ve cleaned and oiled your bike and tuned it back to riding condition, it’s time to look at yourself. Bicycle safety experts say you should imagine that you’re invisible to drivers, then start wearing and loading your bike with safety gear to make yourself as safe and highly visible as possible. 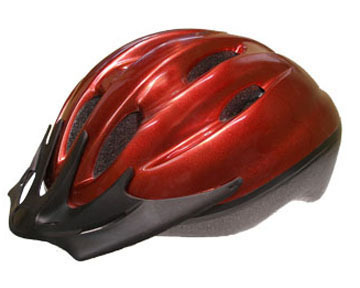 Here’s some of the best bicycle safety gear to help make your ride safe and enjoyable. 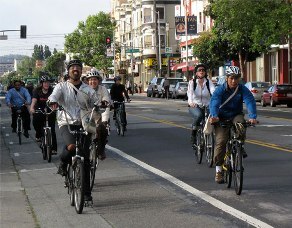 The most important piece of bicycle safety gear is the helmet. 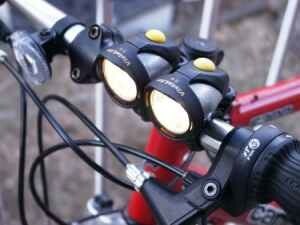 It provides protection in a crash and reflectors make you visible in traffic. Don’t go for a gimmicky helmet – get one that’s bright-colored with a smooth and round outer shell and plenty of foam inside. Wide stars are more comfortable and keep the helmet in place. Go for one that fits comfortably and make sure it has a sticker showing it meets the US Consumer Product Safety Commission standard. Many cities require headlights on bicycles at night, but don’t wait for a law – use common sense and mount a headlight on your handlebars. Miles Kimball has flashers that will help you see in the dark, and the main safety purpose is to help you be seen by others. It should be pointed down so you can see the road in front of you and not blind those coming towards you. Halogen lamps are the most common and 6-volt models in 2.5 watts in a bank of three are a good choice. Make sure to pack extra batteries. Cyclists ride on the same side of the road as cars, so taillights are extremely important bicycle safety gear to help drivers see you as they approach. Two lights are good, three are better, arranged in a triangle pattern. 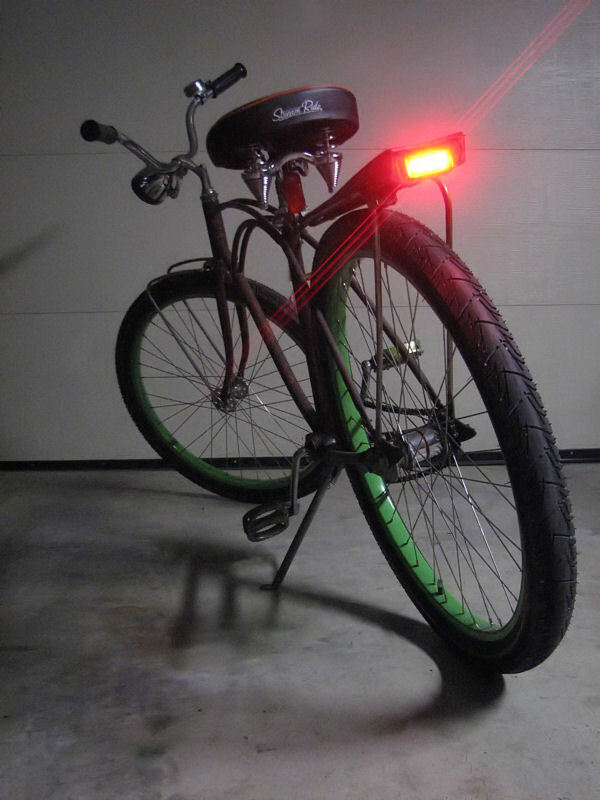 Taillights, which you can find at a book bike store, also serve as reflectors in daylight. Don’t forget to carry extra batteries. That little ringer you had on your tricycle are of no use on a road bicycle. If you prefer a bell, get the loudest one you can find. A better and safer choice is a horn. 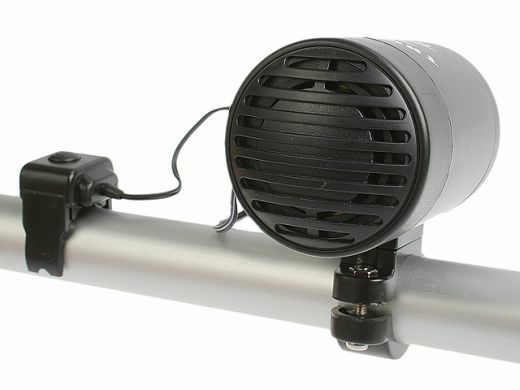 Battery-powered horns are OK but a compressed-air model will really penetrate traffic noise and alert pedestrians and cyclists in your right-of-way. Cycling pants aren’t just for looks – they keep you comfortable when riding and protect against scrapes in falls. 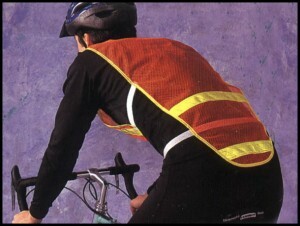 Reflective vests, shirts and headbands help you be seen both day and night. Gloves protect during falls, give you a better grip on the handlebars and keep your hands warm in the cold. You might not think of water as safety gear, but it’s for you, not your bike. Wind causes quick evaporation of sweat and can fool you into thinking you’re cool in hot weather, so drink water before you feel thirsty and pour it on your head or soak a headband and wear it to cool down. 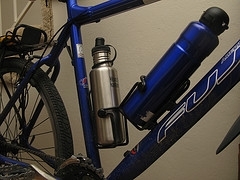 There are plenty of inexpensive water holders that come with or without a bottle so don’t pass up this valuable piece of bicycle safety gear. You can get a great reusable sport bottle – and bottle cleaner to keep it gunk-free.